As you start to book hotel rooms, schedule flights, set per diems for team members, and pay the deposit on your booth space . . . your Accounting department has likely come to you asking the age old question, “Why are we doing this?” Trade shows are an expensive undertaking but are absolutely worthwhile. Next time Accounting swings by, show them this article about 5 Reasons to Exhibit at a Trade Show. This might seem counterintuitive, but that lump sum you’re shelling out for a trade show could actually end up saving you money in the long run. Think about your sales team and the customers they have scattered all around the country — now think about how much it costs to fly them out to individual sales meetings with all of those various clients, some of whom are in far-flung corners of the middle of nowhere. When you realize that each one of those trips requires a flight, rental car, hotel room, per diem allotments, shipping costs to send sales materials, and time spent out of the office, it all starts to add up quickly. When you exhibit at a trade show, it’s an opportunity to condense these costs as your sales team can schedule efficient meetings throughout the show rather than spread them around throughout the year. This is a less tangible reason that’s hard to put a price tag on, but in many ways trade shows are an opportunity to see who’s who in your industry. If you’re exhibiting at your industry’s biggest shows, you’re going to be perceived as a major player to be reckoned with versus falling into the “out of sight, out of mind” category. 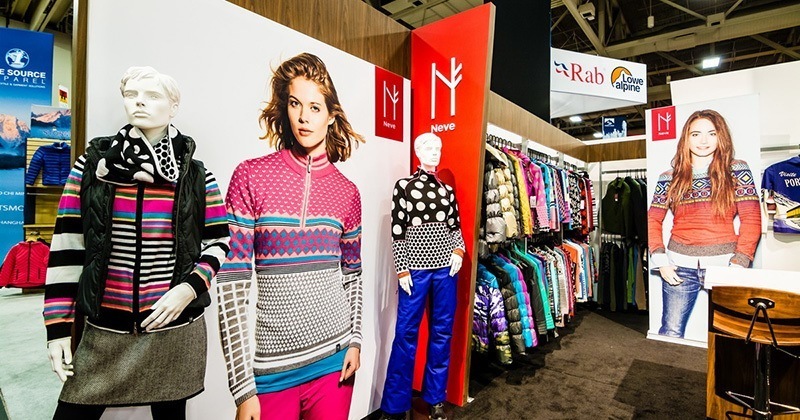 Stay relevant within your space by putting your best foot forward at industry trade shows — the right booth at the right show is enough to garner attention in national media outlets and can translate into increased sales. Among the reasons to exhibit at a trade show, growing your sales certainly falls near the top. Need some help with creating a booth space that will stand out? The award-winning team at mackenzie EXHIBIT will be happy to lend a hand. This is a big one — there are few situations that are better for networking than attending a trade show. Where else can you find a high density of professionals from your industry, all of whom are in a working state of mind and ready to do business? Even if you start off the show with zero meetings on the books, simply having a booth will allow potential clients and business partners to filter through your space and become interested in your company. Keep a handful of business cards handy in a drawer of your booth and be ready to put on your A-game at a moment’s notice, because networking is one of the best reasons to exhibit at a trade show. The logic behind this one is a combination of Reason 1, Reason 2, and Reason 3. If you use your booth space to showcase newly released products, your sales team members can bring existing and potential clients in for a quick demo right then and there without having to take the product all around the country. You’ll also be strutting your stuff in front of the competition by proudly showcasing what your company has been working on, which in turn helps to build additional brand recognition. Since trade shows are such a perfect place for networking, it also makes sense that they are perfect for showing those new business connections the products that you’ve just released. Rather than spend a bunch of money on a new product launch at a separate time of the year when you’ll have to fly in media, pay for attendee’s hotels, create displays, and more, take advantage of the fact that trade shows already combine all of those elements into one convenient time and place. You might have to see this one to believe it, but trust us — the people who attend the trade show together will have a much stronger bond with each other than they did prior to exhibiting. The act of planning the show, traveling together, spending long days answering attendee questions, rooming together, sharing meals together, etc. will create a team building experience unlike any other. While Accounting might take some convincing as to why this is one of our top reasons to exhibit at a trade show, when they see how seamlessly the team works together post-show and how that translates into a more efficient and positive workspace, they’ll soon understand. Now that you know our top reasons to exhibit at a trade show, let’s get down to the business of creating the best trade show booth design for your company. 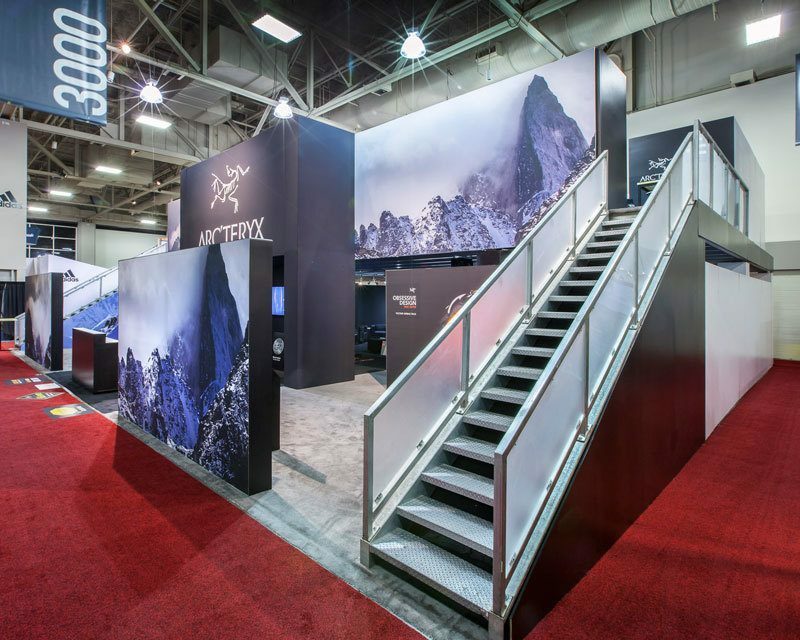 Our team here at mackenzie EXHIBIT has a uniquely streamlined yet creative process to help you get most of your exhibiting experience. 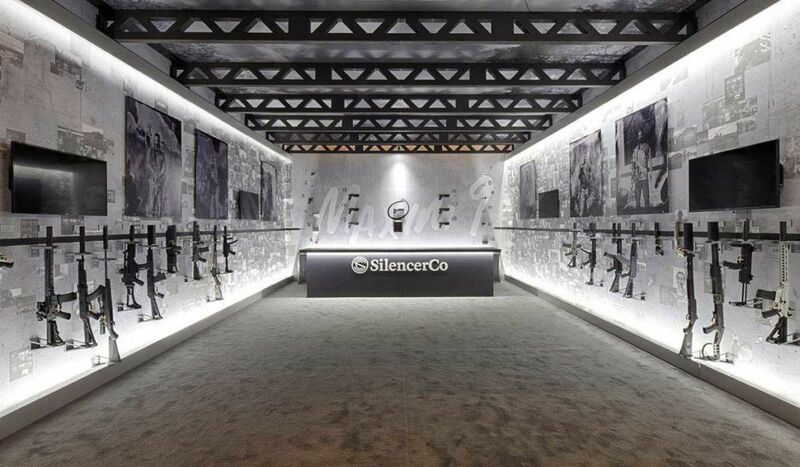 Ready to get started or have some more detailed questions on the booth design process? Give us a call at 801-621-7500 or email us here. As the Green Movement continues to sweep the country (thankfully), the demand for sustainable trade show booth design continues to escalate. You’re probably familiar with how to be more sustainable in your everyday life — but how do you incorporate sustainability into your exhibit? In this article, we’ll walk you through a handful of options for how to go green with your trade show booth. Opting for lightweight materials is a win-win-win. Win #1: You win on the costs associated with shipping your booth. The lighter the booth, the lower the drayage expense. Win #2: The planet wins because a lighter booth requires less fuel to ship and therefore results in less pollution. Yay! Win #3: Your trade show booth design company, such as mackenzie EXHIBIT, wins because lightweight booths are much easier to assemble and take down. See? Win, win, win. Somewhere, Charlie Sheen is very happy with this level of winning. Some lightweight materials you can use are tensioned fabric, aluminum, interlocking cardboard, high-density foam, and inflatable structures (think couches, chairs, and other in-booth accessories). The American West is experiencing an epidemic of pine beetles that are sweeping through forests and killing trees. While this is bad news for our trees, it does mean that there are eco-friendly options for those who want to include wood in their booth design. Rather than harvesting healthy trees, instead opt for breathing life into pine that has already been killed by pine beetles. This helps to clear unhealthy growth and make room for new trees — the forests get a boost and you get to have that beautiful au naturel pine look in your booth. Again with the winning. The title of this section is a pretty big giveaway — you should reuse your booth! Designing a trade show booth that is meant to last season after season might mean putting a bit more money into it in the beginning, but it will save you big in the long run when you don’t have to sink money into a new booth every year. What’s even better? You’ll be drastically cutting down on your company’s contributions to the local landfill by avoiding tossing out your trade show booth. We’re big fans of using dramatic lighting to highlight products, entryways, and to create ambiance. 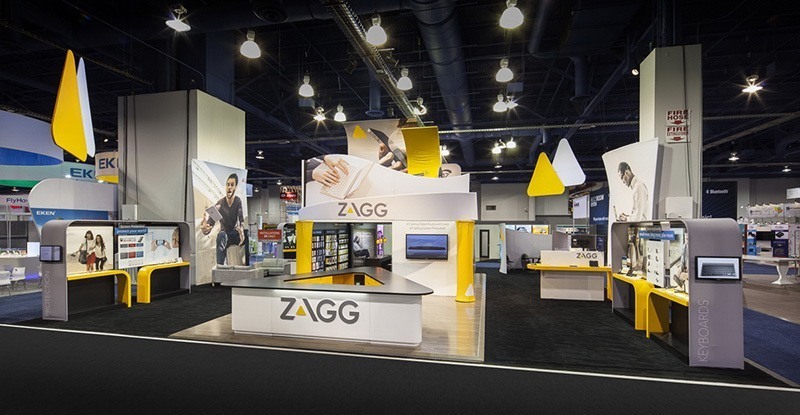 Light is a crucial element of any successful trade show booth design, but it can also be an important part of sustainable trade show booth design. Opt for energy-efficient CFLs or LEDs to create the beautiful glow you’re going for while being conscious about the health of the planet. After the trade show is done, consider using these bulbs in your office as a way to save even more money and reduce your energy usage. 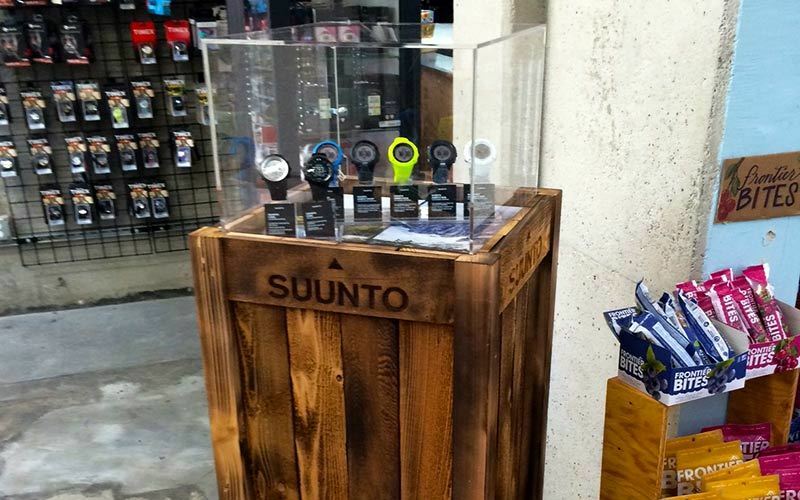 You’ve put a lot of time, effort, and moolah into creating your trade show booth — so show it off! Your office space can probably use a facelift (1989 called — they want their cubicles back), so why not use your sustainable trade show booth design as a way to revamp your business? Exhibit walls can be repurposed as avant-garde decor for conference rooms or break rooms, countertops are perfect for reception areas, and carpet can be used just about anywhere. Put your thinking cap on, and you’ll be able to come up with a bunch of ways to use your trade show booth as office decor. All of those catalogs, brochures, t-shirts, stickers, hats . . . where do you think they go when attendees return home from trade shows? We don’t want to burst your bubble, but the majority area headed straight for the trash. The amount of waste this creates is almost unfathomable, but there are ways you can combat the issue. Rather than handing out a bunch of paper materials, try adding a television screen to your booth design that can display the information normally included in your pamphlets. Upload this same information to your website and direct people to that page instead — you’ll get more website traffic and the landfill will get fewer donations. You can also try upping your swag budget a little and opting for giveaways that attendees will actually want to hang onto long after the event is over, such as reusable water bottles. These are a great option because they reduce waste while also acting as mobile billboards as people carry them around. Some other ideas for sustainable swag are t-shirts made from hemp or pens and notebooks made from already-recycled materials. 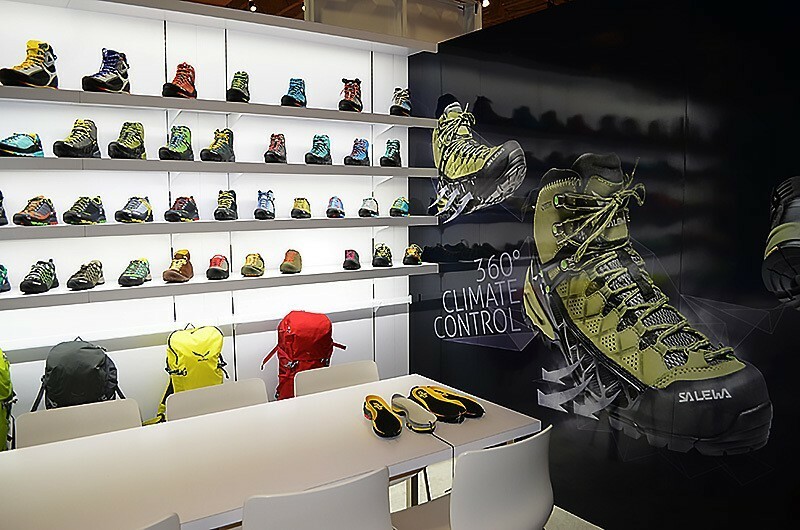 We hope this post has opened your eyes to some easy ways to create sustainable trade show booth design without having to make any sacrifices to your brand’s style. If anything, going green will help to show customers that you’re up on current trends and care about the planet as well as your bottom line. So much win!